A hearty seasonal soup is made to introduce fall with open arms. Yesterday there was a drastic change in the darkness of the evening sky, it became much darker an hour earlier than the previous day… so it is time to accept that the season is changing and time to pull out thick warm knits and enjoy cozy candlelight evenings. 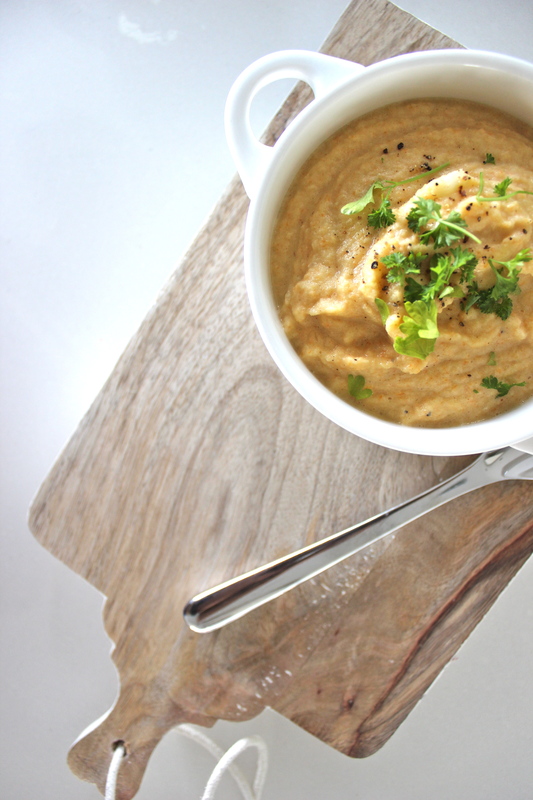 This cauliflower and carrot soup is thick and smooth that is oh so comforting on a chilly evening. This bowl makes you want to curl up under a blanket with nothing more for company than a good book. 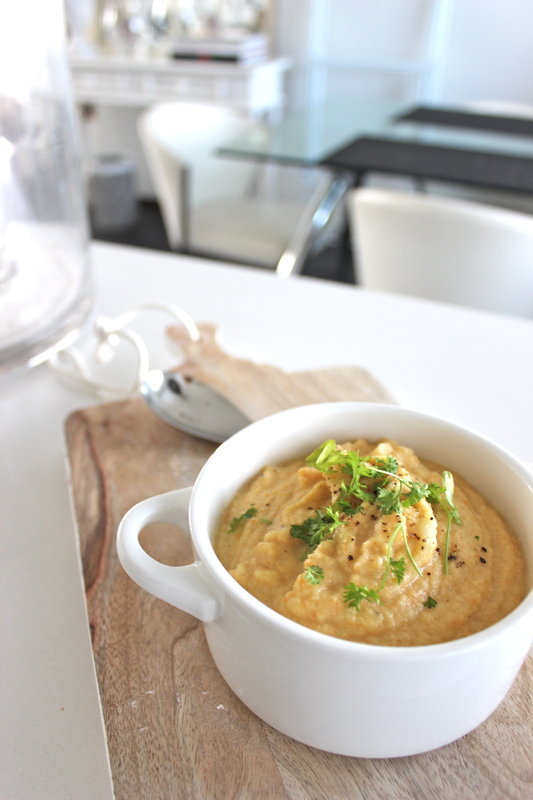 It requires little effort and is easy to make and has a soft earthy flavour to it. It makes a quick lunch or a delicious starter. Bon Appétit! Begin by chopping the cauliflower, carrot and onion into smaller cubes. On a medium heated saucepan add some butter and sauté the cauliflowers until they gain a bit of colour on the surface. Then add the carrots and onions and repeat the process. Add half of the cream, lower the heat and place the lid on. Let them simmer for about 7 minutes. Now with the help of a blender, mix the soup into a smooth silky paste. From the blender, place the mixture back into the saucepan and reheat. Add the rest of the cream and some water (or more cream) if the consistency is too thick. Grind fresh black pepper and add salt. Let the soup simmer in low heat for about 5 minutes before serving. Garnish the soup with parsley, it goes perfectly with earthy rooty flavours.